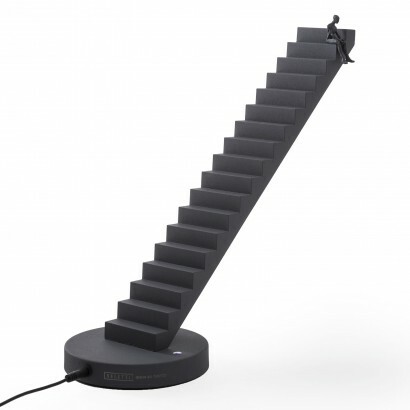 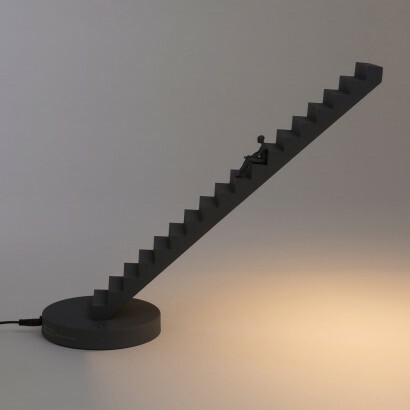 A beautiful and effortlessly stylish lamp from Italian designer Gio Tirotto for Seletti, the Verso lamp depicts a long staircase to nowhere with a man sitting, lost in thought. 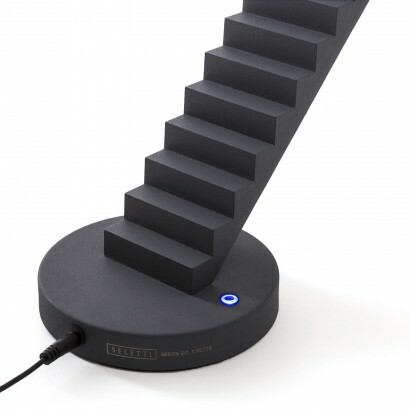 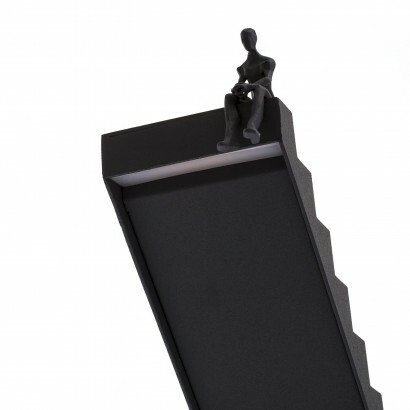 The magnetic man can be moved up and down the stairs, staring thoughtfully out from the top step, sitting at the bottom representing a climb both physically and mentally or halfway up, caught in limbo and deliberating his fate, but wherever you choose to place him he adds feeling to this architectural table lamp. 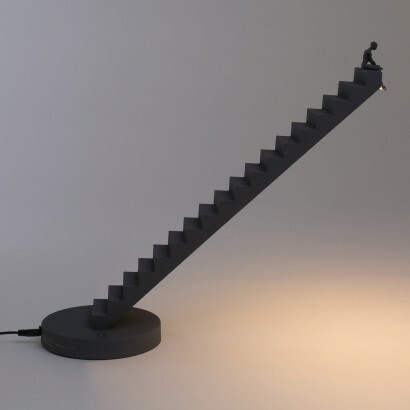 Made from an aluminium and metal mix, this stylish lamp is coloured antracite adding contemporary style to your table tops and desktops, and the steps rotate so that you can position the warm white light for maximum visual or practical effect. 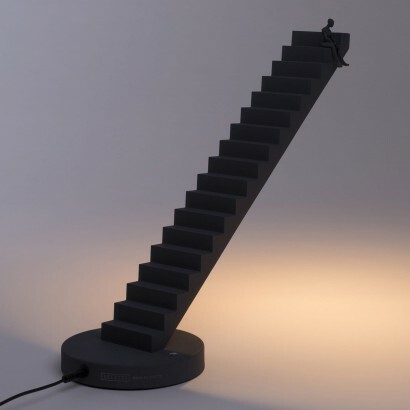 With a touch sensitive dimmer button on the base and warm white LEDs that run across the width of the underside of this stunning lamp, the Seletti Verso shines with a stunning play of light and shadow that will add depth to any space in your home or office.